Is there a greater island in the Caribbean to photograph than Curaçao? I doubt it. With its beautiful beaches, colorful street art, nature, stunning architecture and one-of-a-kind markets, everyday Curaçao scenes make the perfect back-drop for romantic couples, family and friends looking for a different kind of photoshoot. “Bon Bini” photoshoots are ideal if you’re a person, couple or a small group (max 4 persons) who lives, works on Curaçao, and who wants images of the places you love, to decorate your home. 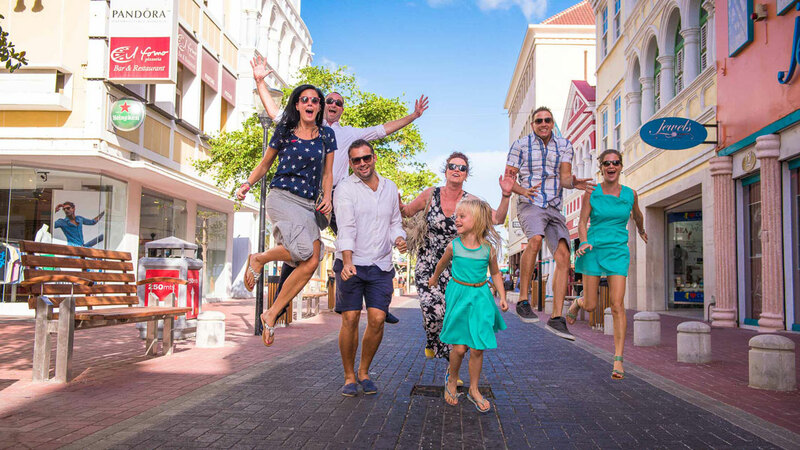 Or maybe you and your partner or family are visiting Curaçao on vacation or even honeymoon and, quite simply, want the best holiday photos ever. So what happens at a “Bon Bini” shoot? The “I Like Curaçao” photoshoot starts with an one hour and lasts up to a six hours photoshoot. We’ll drive all over the island and make stunning photos for you. Or maybe you have some special places of your own where you’d like the shoot to take place. And I’m happy to recommend some great Curaçao locations that work well. Just let me know. As a Dutch trainee living on Curacao, I was looking for a nice memory to take with me back home to the Netherlands. And what would be a better memory than a couple of nice pictures of yourself on this beautiful island. With this idea, I started searching for a photographer on the internet. Michael van Drunen was often recommended and after I sent him a message it soon became clear that Michael is an easy-going person who is absolutely open-minded to all the needs of his customer. Because I had no specific requirements and no experience with photo shoots, Michael told me what he could offer and what he wanted to offer and at the same time he respected my wishes at all times. This personal touch really appealed to me, so I quickly made the decision that I wanted Michael to take care of my memories. The day when the photo shoot took place was more special than I had hoped. While many photographers only spend a few hours to take pictures on one or at most two locations, Michael made a serious adventure of the day. In the early morning I was picked up, a cup of coffee was served and then the day started. We drove to the most beautiful places that Curaçao has to offer. Not just the touristic spots were visited, but also the less known and typical Curaçao spots on the island were visited. Michael looked very accurately at each location in order to be assured of the best photos, a very professional approach! The personal attention, the cozy atmosphere and the way Michael made me at ease were very pleasant. And the final result does not lie! Michael spends his evenings sorting, searching and editing the many photos that were taken. Something which definitely takes a lot of time, but Michael was more than happy to work on it. I already received the pictures and can not describe how happy I am. They are absolutely gorgeous! Besides these beautiful pictures, I take the adventurous and cozy day home as a memory as well. Call or Whatsapp me now on +5999 5191194 to book a ‘Bon Bini’ photoshoot. Or fill in this form to contact me directly. Copyright © 2019 Michael Photography. All Rights Reserved. "Simply a better view"